The media industry has experienced a shift in consumption patterns – worldwide - which are the most disruptive in its history. Consumers expect to watch video when they want, where they want, on whatever platform they want. Multiscreen viewing, including through connected TV devices and mobile devices, is a mainstream activity and is growing fast. 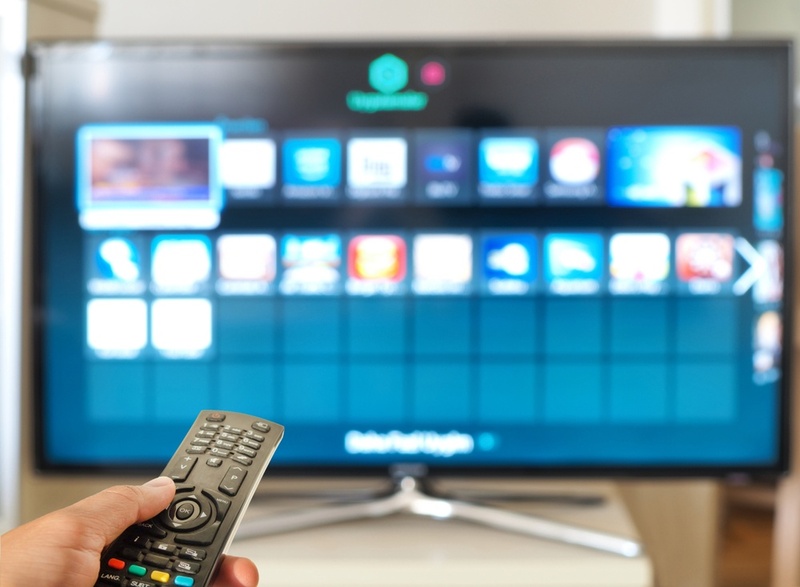 Many consumers, regardless of age group, now think of TV as a combination of established and born-online services, across a portfolio of platforms and screens. The way they find content – particularly in the case of OTT consumption - is becoming more diverse. Scanning electronic programme guides, accepting recommendations, using search tools and content discovery apps and responding to social media and email alerts are all methods used to locate material of interest. All of these tools are initiated (or in most cases driven entirely) by metadata. Since metadata is fundamental to the end user experience. Providing that metadata is now an integral part of media delivery and needs to be managed as part of the product. Media and media services have no value if the consumer can’t find them! All constituents of the content creation and delivery process need to create/import, consolidate and curate this metadata and present it along with the media to the next link in the chain – all the way (and especially) to the final consumer – in order to maximize the value they obtain from their media or services. Commercial broadcasters have long understood the “attention economy”, getting paid more if they can sustain audiences over time. Now, with the proliferation of lower cost and zero-commitment subscription services, and apps that effectively deliver “à la carte” viewing, the danger of churn – so often driven by a lack of engagement with content – is amplified. All distribution channels (traditional or OTT) can maximise the engagement with their brand by providing services that allow users to easily search for and identify content using information from all of the available metadata sources – whether they are internally generated, sourced from external databases or even, moving forward, from machine learning algorithms which “scrape” the source audio and video material to create additional metadata that can further enhance cataloging and searching activities. This is an often-neglected data process that underpins premium user experiences (including genuine content personalisation) and monetization. There is a powerful and growing incentive for media companies to take a more metadata-centric view of life, as some recent main stream use cases can attest. An extension to this was recently spotlighted when Channel 4 in the UK announced a 2018 trial of artificial intelligence and machine learning to identify ‘contextual moments’ that provide positive sentiment around a product category, based on scene analysis. These are opportunities that can be exploited by a relevant advertiser at the next available break. A key benefit of AI-enabled metadata augmentation is the ability to sub-categorise content according to its mood or plot – as has been demonstrated by several large cloud platform providers at trade shows around the world. So-called ‘micro-genres’ such as ‘quirky thriller’ will help with search, and movie plots will be used to drive recommendations. Deeper insights will help AI systems cope with the non-structured requests that consumers make once they talk to their television services (voice search is going to become commonplace). Examples of the use of such technology are showing up in pilot programmes around the world even as we speak – the global media industry is recognizing the importance of metadata curation and presentation in attracting and keeping the attention of their audience, no matter what platform they choose to consume their media on at any point in the day. There is an important point here: many consumers consume content on different platforms at different times. In many cases, the systems that are used for metadata management and delivery are different on each of these delivery methodologies – indeed, in many cases, there may be disparate databases used even within a single delivery mechanism. This may not seem like a big deal, but it leads to duplication of metadata records, which can quickly become out of sync with each other. Thus, when a user searches for a piece of content, the same title may be presented to the user in the search results multiple times. This is confusing and frustrating to the consumer (“which one should I watch?? ?”) – the very opposite of the user experience we are trying to create! The real solution for any media enterprise – at any stage of the media supply chain, but especially when servicing the end user – is to ensure that there is a single metadata resource relating to the set of media assets that make up the various versions needed for linear, OTT, VOD and SVOD distribution. Doing so, under the control of a unified metadata management system, reduces costs while accelerating time-to-market (and importantly time-to-revenue) across those multiple deliverables. The creation of a single metadata resource for each available title means viewers are never presented with different versions of a programme during search or recommendation on a single platform – or even worse presenting them with multiple versions when searching on a set-top, and a different set of versions when looking on a tablet. This, sadly, is currently a real-world experience for many users, which is the opposite of our desire to present TV as a unified, screen-agnostic experience. The expression “watching TV” now implicitly includes watching on any one of a number of platforms. To create a unified experience in a cost-effective manner, metadata and content workflows must be transformed. A metadata-centric approach to media delivery results in an improved user experience and provides greater opportunities to monetise content both directly and indirectly. This is the winning formula for smart media companies in every stage of the media supply chain – without exception.